March ended up being quite a busy month here at Works on Paper and April is shaping up to be the same. 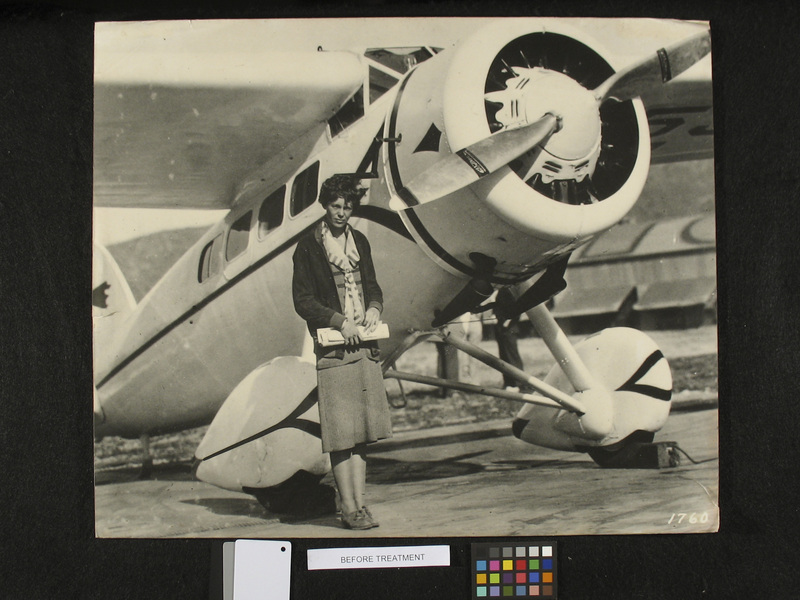 This week, I am working on a collection of historic photographs and one of them happens to be a great image of Amelia Earhart. So, in belated honor of Women’s History Month (March) I am making her the topic of this posting. I must confess that I do not know a whole lot about Amelia Earhart, other than what I was taught as part of a presumably typical elementary and high school education. I have been meaning to find a good biography on Amelia Earhart for some time, and now I feel especially motivated to do so. If anyone has a book recommendation, please let me know. 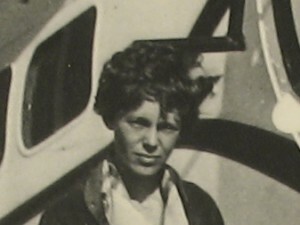 Amelia Earhart is also the subject of a song by one of my favorite bands, The Handsome Family. In fact, usually whenever I think about learning more about her, it is because I have just listened to this song. Beautiful site and blog! I found it through twitter. I really enjoyed reading this, and wonder if you would mind if I were to post a link to it on my own blog, just started this month (http://fineartsconserv.wordpress.com)? It’s too bad so many of the comments here appear to be spam. I would also like to ask you, do you specifically ask for permission for use of each client’s photos on your blog? Just curious. Thanks!